Director and documentary filmmaker Eugene Jarecki (Why We Fight, Move Your Money) returned to Sundance once again this year and left a Grand Jury Prize Winner. His feature doc, The House I Live In, tackles America’s War on Drugs and its effects on impoverished communities both here and abroad (with a heavy focus on African-American communities). The film argues that this “war” isn’t working for anyone, with over a trillion dollars spent since its inception and little results other than overfilled prisons; instead, we should be considering the issue of drug abuse and addiction in our society. Having grown up in Washington, D.C. during the ’80s and ’90s, I’ve witnessed first-hand how drug-related arrests disproportionately affect communities of color. This is a theory that has been long-standing, and one that Jarecki confronts impressively in just under two hours. According to the film, many Americans are apparently unaware of the existence of the domestic War on Drugs, assuming the monicker referred to drug warfare abroad. Considering the number of families that have been marginalized and the number of lives lost (literally and metaphorically) as a result of the fed’s crackdown, this mass unawareness is highly surprising. Jarecki narrates the story himself, relating how drugs have affected the lives of people close to him such as Nannie Jeter, his childhood caretaker. To provide a spectrum of perspective on the subject (and add to his own personal bias), Jarecki conducts interviews with a range of parties involved in the War, from police officers to a teen facing years in prison to a judge who helps to put teens like him in there. Further adding to the film’s perspective is a “history lesson” Jarecki gives us through a compilation of found-footage ranging from episodes of Cops to Nancy Reagan’s infamous “Just Say No” commercials from the ’80’s. Jarecki clearly made this film as a rally call, a protest of injustice to inspire change. By questioning the morality and economics of this so-called War, Jarecki urges us to ponder this deeply damaged system, with hopes that it’s not too late to take steps forward. 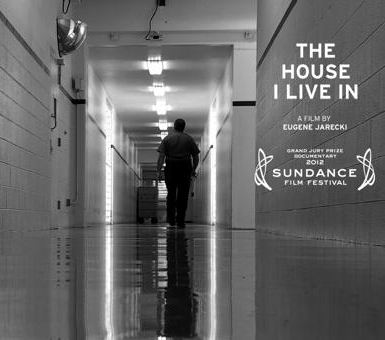 The House I Live In is a highly informative film with a crucial point-of-view – especially for those concerned with human welfare and our nation’s affairs. This entry was posted in Film, Film Reviews and tagged 100 Down, 100Down, Documentary, Eugene Jarecki, Grand Jury Prize, Grand Jury Prize Winner, One Hundred Down, OneHundredDown, Sundance, The House I Live In, War on Drugs. Bookmark the permalink.